No matter if your a new business start up or your an established business. If your cashflow is not constantly coming in, your business growth is reduced. You abilities to generate discounts, create marketing, or put on staff will weigh heavily on companies funds available. Trade Debtor Finance Consultants are now forming relations with accountants. Consequently no matter if your a new business is a start up or your an established business. 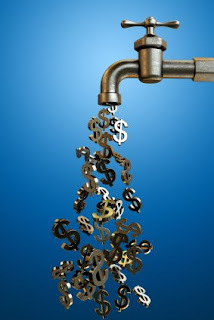 If your cash flow is not constantly coming in, your business growth is reduced. You abilities to generate discounts, create marketing, or put on staff will weigh heavily on your companies funds available. Factoring and Stock finance can be a life line to new business owners as they grow. Our firm offers the complete explanation about lenders who offer this Factoring stock Finance product. If you had the ability to access cash on your invoices? As a result within 48 hours instead of waiting 30, 60 or 90 days to be paid by debtors would you take it? In conclusion the fee involved in that process will be irrelevant if you sales increased, or you created discounts on stock purchases. Trade Debtor Finance Consultants Pty Ltd (TDFC) also has relations with companies in the stock finance. We help this industry by helping businesses with purchasing stock at a discounted rate, internationally or domestically with out security. Most of all TDFC also has connections in the industry for home loans, Leasing, or commercial lending. With Super brokers in our arsenal, TDFC can be the one stop shop for finance. Place your factoring inquires with TDFC. In addition For all your inquiries please go to our website and fill out an inquiry form and a friendly consultant will return your inquiry within 48 hours at no charge. TDFC specialise in the explanation of Factoring, Invoice Discounting, Trade Finance, Cashflow Finance, Invoice Funding, Stock Finance and Debtor finance. With support of up to 28 different lenders our experts can give a complete quote to your direct needs. TDFC, “Finding the facility for your needs”. Previous Previous post: Get paid in 48 hours not 48 days by Factoring or Invoice Discounting.